50 ml vase of night cream, extremely rich in nutrient, skin and emollient factors, specifically formulated for dry skin, lacking lipid, sensitive. Thanks to the action that Thermal Nourishing Cream exfoliates during the night, the skin regains energy, strength and vitality and appears fresh and toned in the morning. By improving the elasticity and compactness of the epidermal tissue, it helps to fight and prevent the aging of the skin, leaving the skin smooth and smooth. It gives a mature and fatigued skin an intense feeling of well-being and contentment and a brighter and more youthful appearance. In the evening, after detoxification and Tonic Thermal Water, apply on face and neck, avoiding eye contour. Massage with gentle and prolonged movements until full absorption. 50 ml Vase Non-oily, highly moisturizing cream, specifically formulated for dry and dehydrated skin, sensitive or hypersensitive. 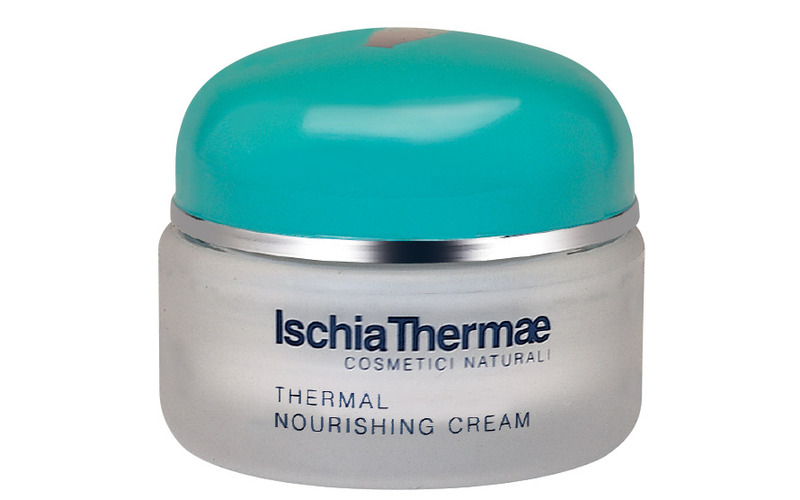 The rich formulation of Ischia Thermae Thermal Water and the end consistency allow rapid and complete absorption of the cream for an intense hydration.